A Single Board Computer (SBC) is a low cost and power optimized computer built on a single circuit board. It contains all functional components of a computer like memory, input/output (I/O), and a microprocessor. The Best Single ARM Board Computers provide low-power and high computational functionality. Professionals use ‘Single Board Computers’ for the prototyping and for tinkering their electronic projects. So, if you are the same looking for a low cost and high-performance SBC for tinkering your hobby, then check my list of the “Single Board Computer of 2018 – 2019”. I have made the different single board computers comparison and reviews. I am sure that you will find your suitable SBC here. The latest Pi member – the Raspberry Pi 3 has been firstly introduced by CanaKit on Amazon. 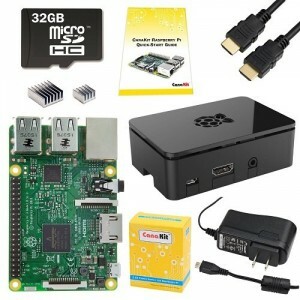 This 32GB addition of the Pi 3 starter kit is covered by the 1-year manufacturer warranty from CanaKit allows you to have a hassle-free purchase. This kit is the bestseller on Amazon in the category of Desktop Barebones. The Raspberry Pi 3 Model B is the fastest among all the Raspberry Pi versions. 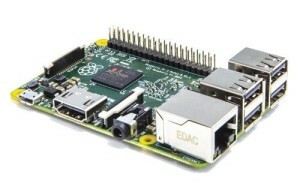 The Model B of Raspberry Pi 2 is the second generation Single Board Computer of Raspberry Pi. It is one of the advanced models of Raspberry Pi family. It comes with 1GB LPDDR2 SD Ram and a quad-core ARM cortex-A7 CPU of 900 MHz. So, it provides more flexibility for the learners as well as experts. It is also completely compatible with Raspberry Pi 1 including all models of Raspberry Pi model A, Model A+, and also with Model B+. It is capable of running a full range of ARM GNU/Linux distributions including Microsoft Windows 10. This single board computer is recommended for schools and hobbyists as well as for professionals. The Beagleboard (BeagleBone Rev c) Single Board Computer is made for hobbyists and professionals who are looking for a community-supported development platform at low-cost. It requires only a USB cable to get development started in under 5 minutes after booting in less than 10 seconds. It is compatible with Android, Debian Linux and Ubuntu software. 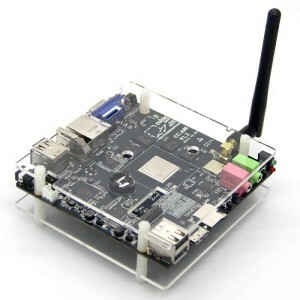 The BeagleBone Black Rev C SBC computer is designed and made by Element14 and is the high-expansion, low-cost and maker-focused SBC. The Banana Pi or Banana Pro is a credit-card sized single board computer which works on low-power. It is manufactured by Lemaker with the idea of promoting Science, Technology, Engineering, Art & Mathematics (STEAM) in schools. It uses a Micro SD card for booting an Operating System and also has an interface of SATA 2.0 for connecting a hard disk for a more storage space. 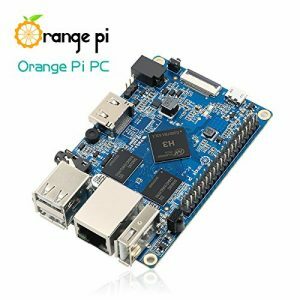 The Orange Pi is a brand which is developed specially for the embedded system enthusiasts. It is powered by the quad-core Allwinner H3 processor. 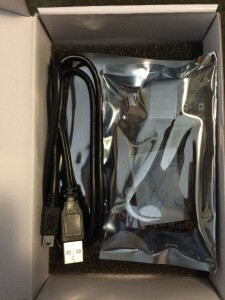 It is said to be a good competitor of Raspberry Pi. The ODROID-X4 is said to be 2-4 times faster than the Raspberry Pi 3 single board computer. It comes with a quad-core 2GHz A15 processor, 2GB LPDDR3 RAM, and USB 3.0 support. The Cubieboard 4 SBC is designed with the idea of providing high-performance within a smaller size. 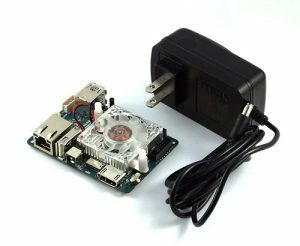 It is an open source mini desktop computer. Because of the octa-core big LITTLE A15/A7 28mm processor, it performs 5 times of cubietruck. The Single Board Computer from Cubieboard can be used for office tasks, video chat, home media center, playing large-scale online games, and much more. Here I have researched and filtered some of the best single board computers which are available this year. There are numerous brands and models who are providing quality SBCs for your needs. 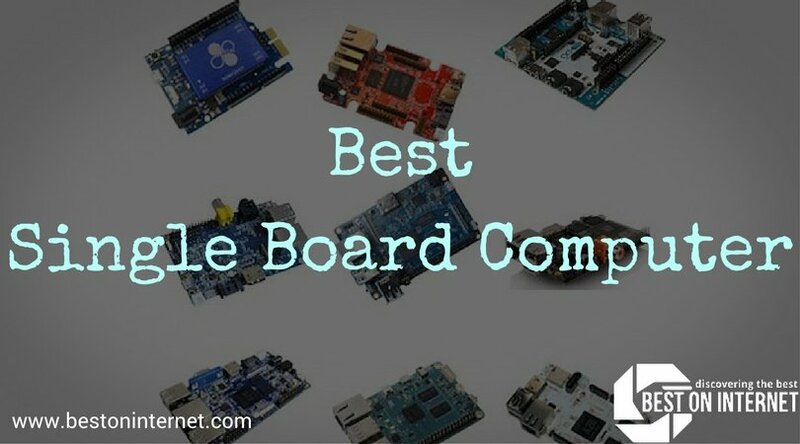 So, it may become the challenging task to choose the best Single Board Computer according to your personal requirements and specifications. Hope you like this list of the “Single Board Computer of 2018 – 2019” and found your perfect computing companion from it. Please share this post so other needful professionals and enthusiasts can see the list and find their best suitable SBC. Mention in the comment, which single board computer will you like to buy for your amazing concept. Thanks for reading and good luck for your design!